Yesterday on the Disney Parks Blog, Jennifer Fickley-Baker sent a shot across the bow and let the world know that Pirates of the Caribbean will be receiving a new addition, and that this new element will come from from Pirates of the Caribbean – On Stranger Tides. The rub is that readers weren’t told what it would be or which scene(s) it would appear in. 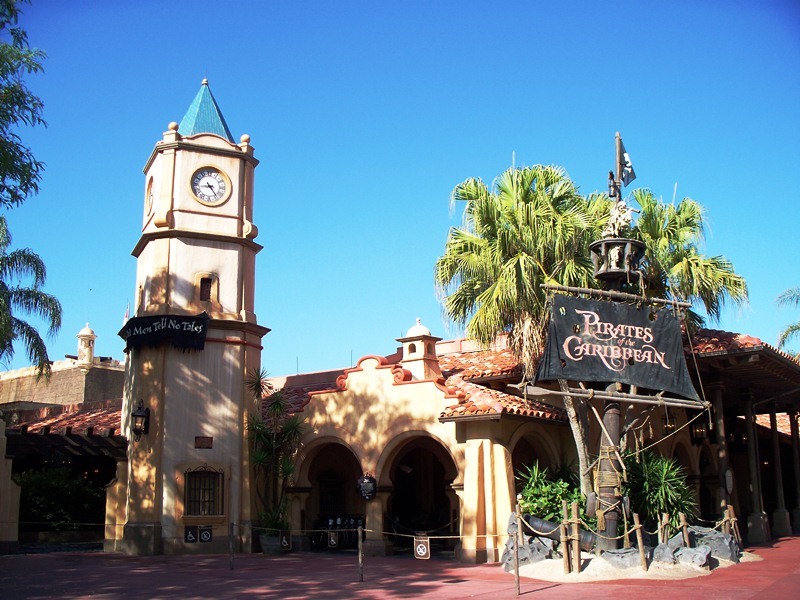 Jennifer only let slip a single clue to the buried treasure, that the attraction would remain open during regular park hours and that the changes would be installed overnight, although no timetable for the change was given. The prevailing winds, even before this article set sail, were that a mermaid element was coming to Pirates of the Caribbean. This idea has merit, after all mermaids played a pivotal role in the last feature film, and would likely appear in any subsequent sequels, but something about it just doesn’t sit right with me. I am hard pressed to believe a mermaid Audio-Animatronics could be installed overnight, even as wonderful as Imagineering is. In fact, I’m not even sure they could drop in a physical effect of a tail splashing in the water in a single evening either. So the mermaid angle seems like a bit of a stretch to me. Does that mean I don’t want to see the mermaids in Pirates of the Caribbean, not at all. In all honesty, I think the dichotomy of supplying a dangerous mermaid in Adventureland with a sweet, lovesick mermaid in Fantasyland is too rich an irony to pass up. For one it shows how tales and mythological creatures can be interpreted differently by different folks. And another thing, mermaids are just bloody cool! So, if I don’t believe that it is mermaids swimming their way into the adventures of Pirates of the Caribbean, what do I think could be coming? Blackbeard and Barbosa? Already in the attraction. Angelica? Again we run into the problem of Audio-Animatronics and timing, so in what capacity could she conceivably show up? The Fountain of Youth? It’d take too much time to construct, and what scene would it appear in? The silver chalices Ponce de Leon used for the Fountain of Youth? Now, we’re talkin’ treasure! With a treasure room already stocked with plenty of glittering jewels and enough gold to buy the Spanish Main, it only makes sense that these two chalices could be placed in the scene quickly, without disturbing too much of what is taking place around them. They could be placed prominently so that guests could see them, but not so much as to attract the attention of the scallywag Jack Sparrow who is relaxing in the treasure room. Of course, the treasure room also allows for my personal favorite theory, the Black Pearl. The ship Barbosa utilizes in the Pirates of the Caribbean attraction is the Wicked Wench, not the Black Pearl. In On Stranger Tides, the Black Pearl has been miniaturized by Blackbeard and placed into a bottle. Placing the Black Pearl in a bottle, along with other ships in bottles, in the treasure room would be a great way to tie all of the films together and finally find a way to incorporate the most famous of the Pirates of the Caribbean vessels, the Black Pearl, into the attraction. There are certainly any number of possibilities, from the aforementioned mermaids and chalices, to new dialogue from Jack Sparrow, Barbosa, and/or Blackbeard, Blackbeard’s sword, even costumes from some of the cast. 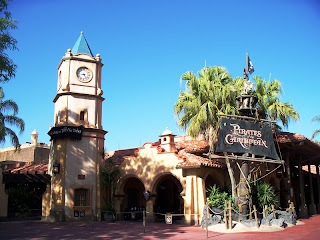 There are as many potential items to add into Pirates of the Caribbean as there are tales of daring and dangerous pirates. While we await this new treasure, it is only fitting that we concoct as many fanciful and far-fetched tales as possible, right? Did I ever tell you the one about the sea turtles? The first thing I thought when I heard that the attraction would have a change with no down-time is a change to the ghostly apparition that appears early in the attraction (I don't want to spoil it for anyone, but I'm sure you know what I mean). I like the ship in a bottle theory, though. Can't wait to see what comes! Trader Sam's at the Disneyland Hotel has a Ship-in-a-bottle that sinks in a simulated storm -- could it be this effect has been adapted for the Black Pearl? Zachary - I love this period between an announcement and the reality where we can all dream of what might be! Rich - It very well could be. We all know how Disney has been sharing pieces across the parks recently.